Are you considering selling or renting out your property in the New Year? Are you planning your next move in 2019? In the run-up to Christmas, with everything going on, it’s easy to think that you should put off having a valuation and then placing your property on the market for sale or rent, until the New Year. However, did you know that Christmas is prime time for people to start their property hunt online? 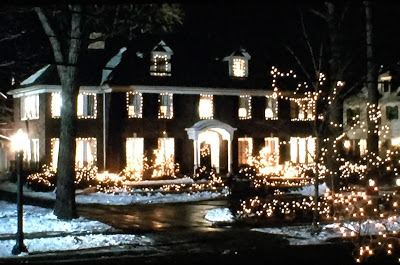 Yes, never mind the Boxing Day sales and pondering what Kevin Mcallister's Dad's Job was in Home Alone for them to be able to live in such a big house, (just us? ), it seems that there is a huge appetite for shopping for property over the festive period as we all look forward to the year ahead. According to popular property portal Rightmove.co.uk, over 1.6 million people visited its website between Christmas Eve and Boxing Day last year, with those hoping to move in the New Year property hunting in-between opening presents, watching Christmas films and over indulging on the Turkey, Mince Pies and Chocolates. If you have been planning to place your property on the market for sale or rental in the New Year, then we would recommend perhaps getting ahead of the game, and getting everything in order during December. This ensures that those eager property hunters will be able to view your property online over the festive season and then book viewings for the New Year. So, in readiness to help prepare your property for sale or rent this month, or over the next few months, here are a few festive-related tips to help your property succeed once it goes to market. Or not as the case may be! You could have decorations up over the festive season, but prospective buyers or tenants really have to be able to envision the place as their own, and they can’t do this if your belongings are stuffed wall to ceiling in each room and hide the true space and ambience that the room offers. If you are decorating your home for Christmas, then this could provide a great opportunity to place some of your non-essential belongings into boxes which can stay in the loft or in storage until you make the move to your new residence. Once Christmas is over, take down the decorations and voila, a clutter free space to showcase once viewings start! Before agreeing on a price to market your home for, it’s helpful to build up an idea of the local property market in your town or city, to help you understand how well properties are selling and the average price that your property may be worth. Nowadays it’s easy to search past house-prices on the internet, so having this information to hand before a valuation could be a helpful base to work with an estate agent from, or any estate agent worth their fee should be able to give you information on the local property market scene. No sooner has the man in red headed back to the North Pole with his reindeer for a well-earned rest, and the peels of Big Ben and Auld Lang Syne rung out, then the New Year will be here and your property will become a sales showroom for all to traipse in and out of. It’s essential to ensure that your property creates a great first impression for prospective buyers or tenants. The outside needs to entice viewers inside and so the festive period may be the ideal time to spend a bit of time, money or effort making the exteriors and interiors of your property look attractive and welcoming. Despite the weather, tidying up gardens and lawns, sweeping up leaves and cobwebs, cleaning windows or even a quick lick of paint could make all the difference, as could some perhaps some artificial plants and trees to brighten your exteriors up if they look quite bare generally. Remember, you never get a second chance to make a first impression! Whilst legend has it that Mary and Joseph were grateful to give birth in a stable full of animals, if your property plays host to your very own unique menagerie of animals then this can be very off putting for someone trying to view your property as their next home if they are not an “animal person”. Ok so it’s hardly Oxon, Donkeys, Sheep and the odd stray Camel, but if possible, once the Christmas chaos is out the way, in your post-Christmas clean, ensure that any animal hair from cats, dogs or rabbits is hoovered up and clear animal bedding and pet food bowls away for viewings. Once viewings start, try to arrange if possible, for dogs or larger pets to be out. Once you’ve got all of this sorted, all that’s left to do is leave your property sale or rental to us! We will ensure that just like the Harking Herald Angels, we will bring Glad tidings of great property joy and market your property effectively to prospective audiences. You’ll then be able to relax, sleep soundly and enjoy a Silent Night with the knowledge that “all is calm” and “all is bright” for your move in 2019! Why not get in touch, or visit us in the Office to get ahead for marketing your property in 2019. Give us a call on 01727 221290 or 01442 230400. From all of us here at Aubrey and Finn, we want to thank all those who have supported our business during 2018, and we look forward to serving St Albans, Hemel Hempstead and the local community in 2019!